March is Multiple Sclerosis awareness month and I have decided to do my part to share what MS is to me. 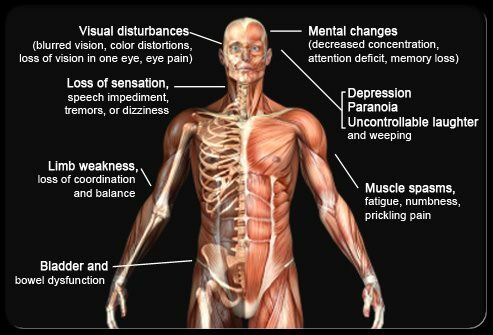 Multiple Sclerosis is one of many diseases that is often called an invisible illness. No one could look at me and know that I have MS. It is easily the most frustrating part of this disease. People really do say 'but you look so good' when they find out about my disease. -Fatigue: I am tired constantly. It's a full-body tired that never goes away no matter how much sleep I get, though naps help. -Cognitive Fatigue: Often called brain fog. I can't always find the words I am looking for, sometimes I stutter. Learning new things is harder than it used to be. Some days I feel just stupid, but a little patience goes a long way! -Numbness: It comes and goes in my fingers, toes, arms, legs. -Emotional Disturbances: I can be an emotional mess some days - which is sometimes helpful for a writer :) Crying for no reason, angry for no reason, laughing when nothing is funny. -Headaches: I have one everyday, all day, have for the past three years. But, the severity changes. Most days it's just a dull hum, but every so often it demands my full attention. -Fear: I always have the knowledge in the back of my mind that a new relapse can come on at any time. Or, that no one will want to marry someone with MS.
Wow, your post sure puts things into perspective. I think we all have our inner struggles that people don't usually see (mainly because we hide them), but a disease is just that much worse because it is ongoing. Still, I think the human spirit is a natural survivalist, and putting your will and energy into your dreams is the best thing you could ever do, no matter what you're afflicted with. You have an awesome attitude, and the other two people with MS that I know do too. I love your "different kind of normal" take on life, although I don't know how you deal with the headaches. Chronic pain drags a person down - kudos to you for not letting it! On another note, you're the first recommended-by-twitter that I've actually followed, mostly because I love your intro line: "I'm an obsessive writer, voracious reader, word addict, newbie quilter. I dream of seeing my novel on a shelf in the bookstore." That's me, too, except maybe for the word addict. Substitute horses and ireland for words, although I'm learning more with a particular Words with Friends friend! And I love your Five Sentence Fiction. Looking forward to more great posts. I'm glad you stopped by here and on Twitter :) Nice to meet you. Horses and Ireland are fantastic substitutes!! Lillie, thanks so much for sharing. I know a few people who have MS and they have the same attitude you do. I like the comment about it being your normal. My cousin was just diagnosed with Brain Cancer and she says the same thing. That its just her normal. I really hope that with technology and research we find a cure. Thank you Kelley! Good for your cousin; a good attitude can make all the difference. Thank you so much Karen! That means so much!! Lillie, I know from very close what multiple sclerosis is like (just learning, though, but I think I've seen enough to know what it's like). I know what it is to feel powerless against the symptoms of something that cannot be explained and cannot be fought -- perhaps I know it less than you, but I still understand it. I have to agree with Jennifer: you have an amazing attitude towards it, and "a different kind of normal" is a superb way to put it. Whenever ms seems to be getting the best of you, just reread this post of yours and I'm sure it'll give you strength. You're most welcome, Lillie. By the way, don't think nobody will want to marry someone with ms. I fell in love with my current partner after learning they have ms. And, if you want a more famous example, just look at Jacqueline du Pré. Believe me, anyone who doesn't want to marry someone who has ms solely because of the ms is an idiot. Agrees with all of the above. Thanks for posting/writing a very informative article and letting people know. You are indeed an inspiration. Thank you :) You're always there for me! Lillie, it takes a special person with a heart like yours to share such a personal journey. I don't know MS but the most important person in my life struggled with Lupus for almost 25 years. 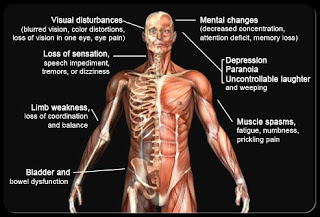 Chronic diseases are a very unique difficult struggle, battling down one symptom only to have another rise in its place OR never having the symptom completely disappear. The more that we can all learn about what MS is, can be and isn't, the better. So much could be learned from your powerful yet simple words - Ive found myself caught in the "why me" spiral and as frustrating as it is to hear, its equally frustrating to be in that thought process! Thankfully I have come out the other side and see things ore clearly but I do like your "new normal" I must remind myself of that!